Interactyx has a great website. We have thought this since the redesign took place back in December 2011. Now, we have the awards to back it up. 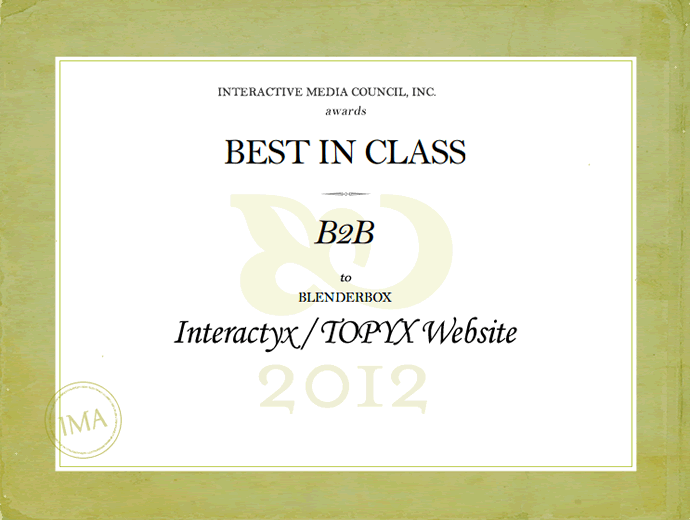 Blenderbox, the interactive design firm who designed topyx.com, received two awards for their work by the Interactive Media Council group as a "Best in Class" winner for both the B2B and Education categories. 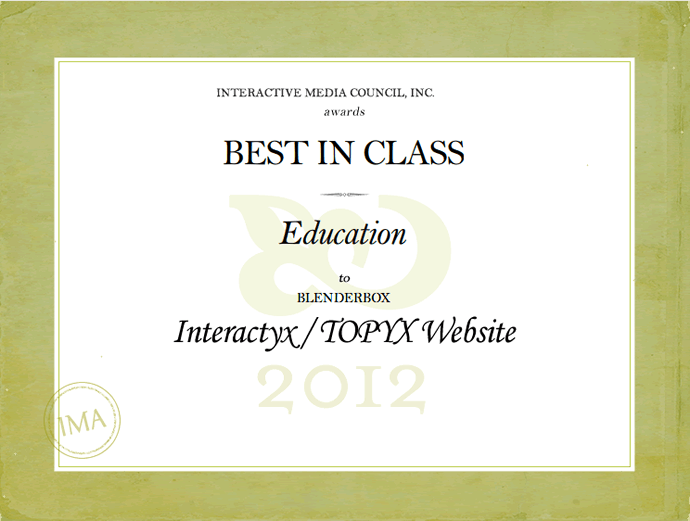 We would like to thank the entire Blenderbox team who made our vision a reality and for this recognition by the Interactive Media Council!